Anywho, in her second weekend in theaters. David Fincher’s “Gone Girl” took the top spot again with an estimated $26.8 million. The drama fell 30 percent from its debut weekend, which is pretty decent for this kind of adult drama. The Fox film cost around $61 million to produce, and it has already grossed $78.3 million domestically. No one pay attention to the murder suspect trying to catch a flight. “Gone Girl” is doing well in International markets too, grossing over $62 million so far. If the movie holds steady for another couple of weeks, it could surpass “Curious Case of Benjamin Button” as David Fincher’s biggest box office hit. Universal’s “Dracula Untold” shocked everyone by opening in second place with $23.5 million. The origin story of the classic character starring Luke Evans opened at 2,887 theaters, including IMAX ($4 million from 351 screens) and large format screens. The PG-13 rated fantasy cost around $70 million to produce and has already made $62.6 million from 42 territories internationally. Audiences were 57 percent male and 39 percent under age 25, and they all seemed to enjoy the new take on the iconic character, giving the film an A- CinemaScore. Either audiences were just curious to see “Dracula Untold,” or the marketing department at Universal did a piss poor job promoting this movie. Perhaps “Dracula Untold is better than people think? “Alexander and the Terrible, Horrible, No Good, Very Bad Day,” Disney’s PG-rated adaptation of Judith Viorst’s 1972 children’s book starring Steve Carell and Jennifer Garner, opened in third place with a very strong $19.1 million from 3,088 locations. According to polling data, audiences were 67 percent families, 34 percent under the age of 12 and 54 percent female. Just like “Dracula Untold,” Alexander got an A- CinemaScore too. Disney also opened the movie in 14 territories internationally for a $2.8 million weekend. They’ll be rolling it out to additional territories through early 2015. As I said Friday, “Alexander and the Terrible, Horrible, No Good, Very Bad Day,” won’t be a blockbuster, but it won’t be a bust either. The good news for the Team Downey, Village Roadshow, Big Kid Pictures film, is that “The Judge” was awarded an A- CinemaScore (a very popular score this weekend) So perhaps word of mouth will be good for the drama. Did he say 15 paces turn and then shoot? We’re on our way to buy some garlic and silver bullets. Defending box office champion “Gone Girl” faces some tough competition this week from Iron Man, Dracula, and one unlucky Disney family. Who I wonder will win? Steve Carell and Jennifer Garner star as the parents of the unlucky Alexander in this Disney update of Judith Viorst’s 1972 bedtime story. The PG-rated comedy cost a reported $28 million to produce and Disney is releasing the movie in 3,088 locations in North America. With little family flare in theatres, Alexander could earn somewhere around $18 million this weekend. That should be enough for a second place finish. “Alexander and the Terrible, Horrible, No Good, Very Bad Day” won’t be a blockbuster, but it will be a modest hit. These days Robert Downey Jr. could film himself eating breakfast, and the film would be a box office hit. 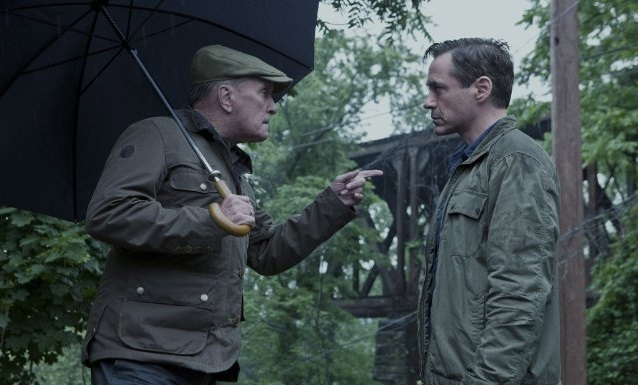 Plus all that Iron Man 4 speculation this week can’t hurt his father/son courtroom drama co-starring Robert Duvall, which cost a reported $50 million to produce. Warner Bros. is releasing the drama, produced by Village Roadshow, Team Downey and Big Kid Pictures, in an estimated 2,700 theaters. 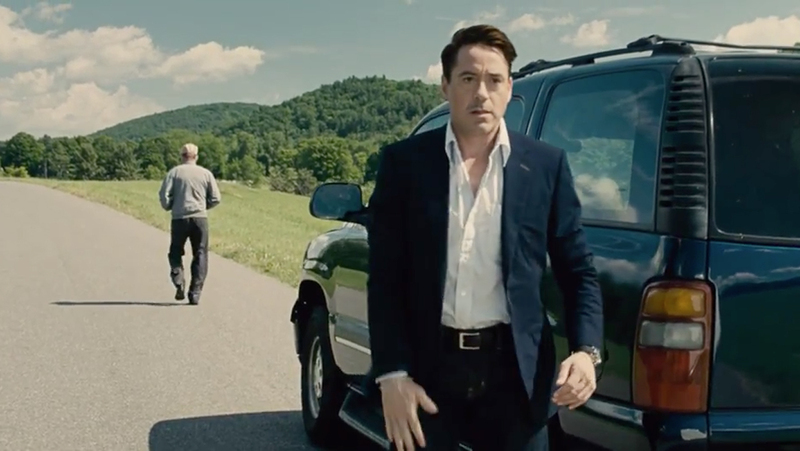 Reviews are mixed (49 percent on Rotten Tomatoes), but Robert Downey Jr. will still show up this weekend, and “The Judge” should earn $15 million. whether its finishes in third or fourth place, remains to be seen. 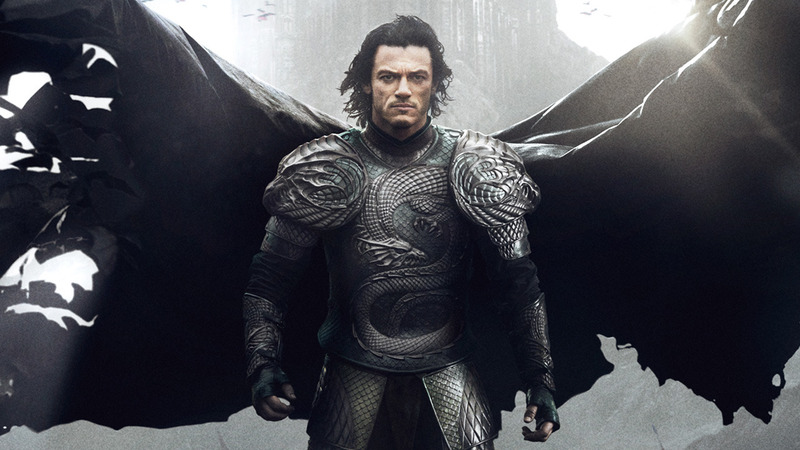 The bomb of the week will likely be Universal Pictures and Legendary Pictures’ dark Dracula origin story starring Luke Evans. “Dracula Untold” opens in 2,885 North American locations, Friday, including large format and IMAX screens. The film cost a reported $70 million to produce and has already earned $21 million from 25 markets in its first weekend. Not surprisingly, reviews aren’t great. Yesterday the movie had 28 percent on Rotten Tomatoes, but as of Friday morning the film is at 24 percent on and apparently dropping. If this movie makes over $12 million this wekeend, I’ll be surprised, no shocked. Every time I’ve seen the trailer in theatres, it’s been followed by laughter. Can’t say I’m surprised though, this movie reminds me a little too much of “Van Helsing. : I really hope “Dracula Untold” is not the start of the new Universal Monster line from Legendary.